Browse our catalog by composer such as Bach, Beethoven, Mozart, etc. Exclusive sheet music for Easter with audio files. 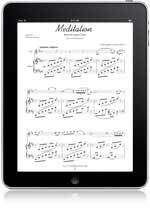 Exclusive sheet music for Mother's Day with audio files. Become a Member for only $37.75, then enjoy exclusive benefits! Be notified of new sheet music to download, receive weekly video lessons as well as our "Basic Music Principles" reference e-book, and more!